Torquay Hotel is pleased to introduce the Torquay Hotel Summer Series, a specially curated season of incredible Australian music at an iconic regional music venue. The epic season program boasts some of Australia's classic rockers and favourite party bands making tracks down the spectacular Great Ocean Road. Running from mid-December until the end of January, Torquay Hotel Summer Series is set across two indoor and outdoor stages, with capacity ranging from 500-800, and is a celebration of incredible Australian talent embraced by the picturesque beach town. A recent change in ownership at the iconic venue Torquay Hotel marks new direction and commitment to live music in the regional area. 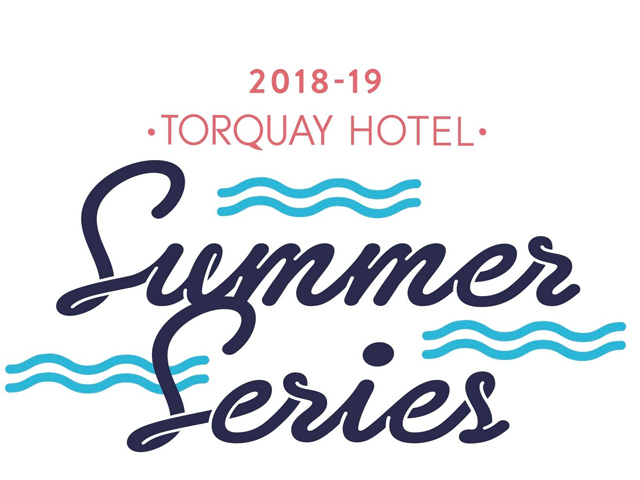 Torquay Hotel Summer Series sets to establish itself as premium live venue and is working towards putting Torquay on the regular touring map for local & international acts. Kicking of the Summer Series is the Sunny Coasts' pub-punk trio The Chats on December 14, followed by a soon to be announced show with with legendary Australian rock-royalty on Boxing Day. Torquay Hotel's customary NYE party is back and bigger than ever with cocktails on tap, a live party band and DJ's into the night, while the mesmerising sounds of Didirri ease you into back on January 4. Confidence Man are bringing all the best disco vibes for the perfect Sunday-sesh on January 6, before a solid weekend of Australian rock with Melbourne's Slowly Slowly January 11, and the roots grooves of Sydney's The Beautiful Girls on January 13. A weekend of indie rock is kick-started by Kim Churchill on January 18, with Fremantle foursome San Cisco on January 20. Signing off an epic Summer Series is three days of back-to-back pub jams starting with Ziggy Alberts January 25. January 26 boasts A Nice Day to go to the Pub, a mini outdoor surf & psych rock festival headlined by Cosmic Psychos + more to be announced and a classic Coastal Jam closing the show January 27. Torquay Hotel Summer Series is soon to be an inaugural summer favourite, and just a taste of the seasonal happenings this vibrant and dynamic Surf Coast town has to offer.